I’ve been looking for an ‘in between’ season hiking pant that suits the early Spring and late Autumn weather but my search has been a complicated journey. For years I’ve been wearing the Mountain Designs Neve pant in winter or a lightweight Marmot Lobo’s Women’s Convertible Pants with zip off legs in the warmer months. The Neve’s are (sadly) very difficult to find now and my Marmot pants have a rip in the backside courtesy of the Larapinta Trail – unfortunately the hole is getting so large that dark underwear doesn’t conceal it any longer! After what probably was an 18 month search I gave up on the replacement idea and focused on the ‘in between’ option. For some reason – I’m not sure why – I had my mind set on a pair of hiking tights. I thought from a comfort and active movement perspective – tights would be ideal. After all, who doesn’t spend most of the weekend in active wear? 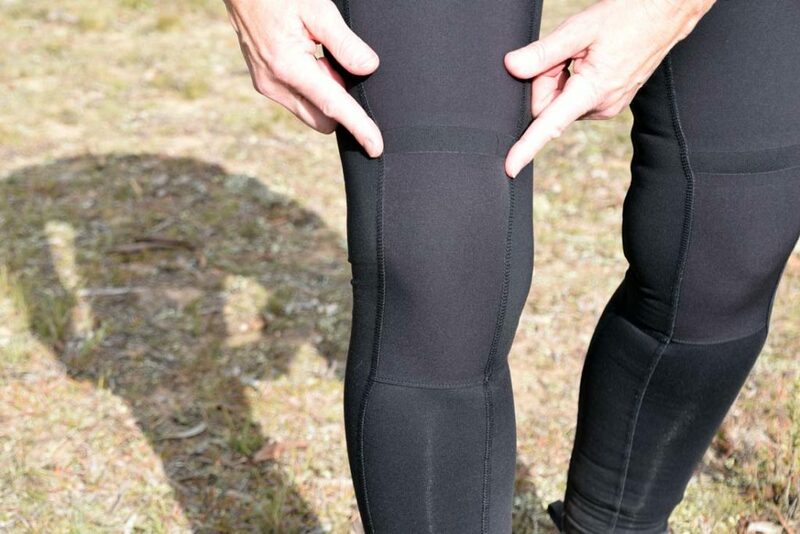 But it surprises me that hiking tights are so hard to find in Australia despite being popular elsewhere. I had all but given up when Tim headed into Ray’s Outdoors to buy (yet) another pair of hiking shoes. 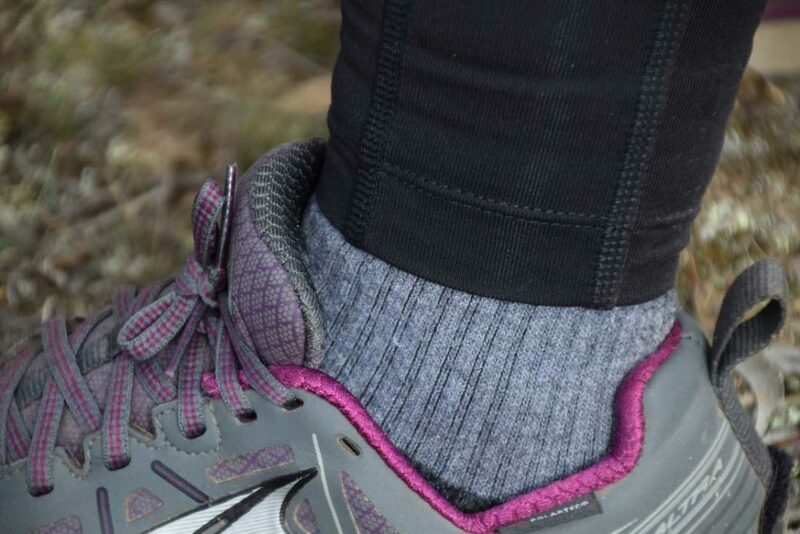 I saw The North Face Hybrid Hiker Tights – 50% off – and decided to try them. 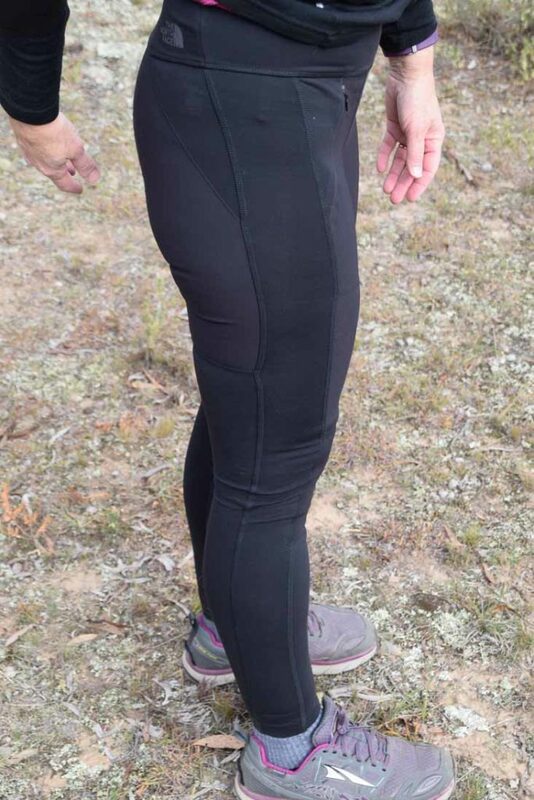 Most women know the challenge of pulling on a pair of exercise tights – the Hiker Tights will enable you to relive the experience! Once you have them on though, the benefits become clear in terms of range of movement and comfort. I did feel that a little too much was on show but then again, being seen in active wear is all the go now so I made the purchase. These tights are described as a ‘body-mapped’ of a ‘stretch-woven, stretch-knit hybrid’ construction. The wide waistband and higher waist keeps everything in place e.g. no muffin top. There are plenty of panels in the construction with different fabrics providing flexibility or protection where its needed. The tights also have a concealed zip pocket which would be OK for a tissue and a Lip Balm! These tights do require some getting used to. The first time I wore them on a hike to Mount Gingera where we pretty much had a six kilometre uphill climb, the first two kilometres of which were very, very steep. The good thing was the freedom of movement but the reinforced knees meant I had to push a bit harder against the fabric to bend my leg. I am now used to this but it was a bit tough going wearing the tights for the first time on that very steep hill! The Hybrid Hiker Tights are tough – you can tell by comparing them against the few other ‘tights’ you’ll find in the outdoor stores. The proof is clear when you rest you knee on rocky ground or plant your backside on a rock. There are no snags or ‘pilling’ of the fabric. The weight is perfect for the ‘in between’ seasons in south eastern Australia – they are not suited to cold weather or warm-hot conditions. All in all I’m very happy with The North Face Hybrid Hiker Tights. Wide, backpack-friendly waistband which also means no muffin top! Concealed-zip pocket on right side for your tissue! Stay away from the image on The North Face website – they look like close fitting pyjama bottoms rather than hiking tights! None that I would recommend but still looking! 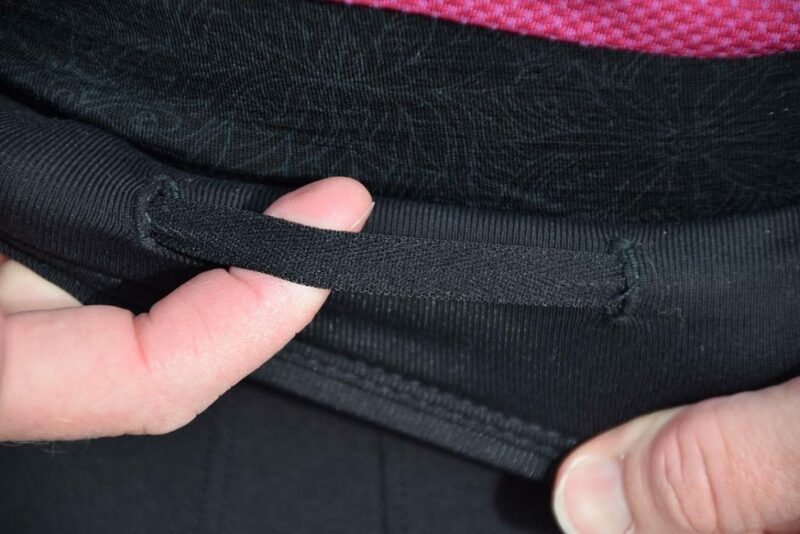 Comfortably higher waist – no muffin top!